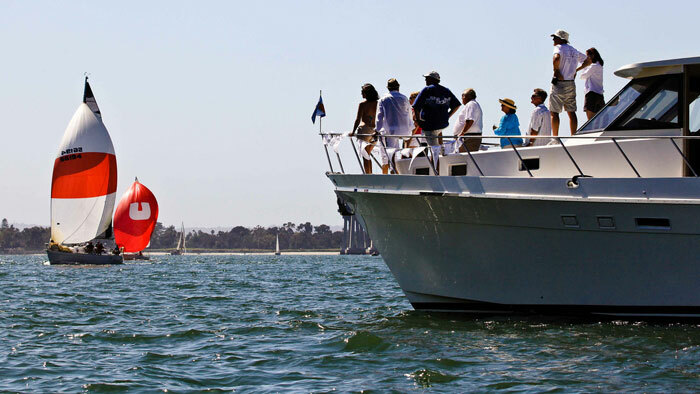 SAN DIEGO — Boating enthusiasts and health care professionals will join in on-the-water competition and shoreside activities at the 10th annual Sharp HospiceCare Benefit Regatta, Aug. 24-25. Hosted by Sharp HospiceCare, Coronado Yacht Club and Cortez Racing Association, the event will support Sharp HospiceCare’s Homes for Hospice campaign, an initiative to build hospice homes in San Diego. The event kicks off Friday evening, Aug. 24 with a pre-race dinner, followed by all-day festivities on Aug. 25, as guests board sponsored yachts and cruise along the race course for a breathtaking view of the sailing regatta and San Diego Bay. All proceeds from the regatta will support Sharp HospiceCare, an organization that provides comprehensive care and compassionate support for patients and their families struggling with a life-limiting illness. This year’s event is expected to net $250,000 for Sharp HospiceCare’s Homes for Hospice campaign. So far, the campaign has led to the completion of two homes in the neighborhoods of La Mesa and Del Cerro, and a third home in the South Bay is currently being planned. Leading the effort as campaign chairman is Scott McMillin, chairman of the board of the Corky McMillin Companies. The Pre-Race Event is scheduled at 6 p.m. Aug. 24 at Hotel del Coronado, 1500 Orange Ave., Coronado. Tickets are $185 and include a full-course dinner, dancing, and silent and live auctions. The race portion of the event, organized by Cortez Racing Association, takes place on Saturday and starts at 1 p.m. at east end of Harbor Island. It winds around San Diego Bay and finishes near Coronado YC. Competitors will race for a chance to compete in the 2013 Hospice Regattas National Championship in St. Petersburg, Fla. Racers can register sailboats to compete in the regatta by visiting cortezracing.com. For tickets to the pre-race event and spectator party, or to become a sponsor of the event, call Bill Navrides at (619) 740-4316. To find out more about Sharp HospiceCare, call (800) 827-4277 or visit sharp.com/hospice. Caring for patients since 1992, Sharp HospiceCare is a not-for-profit Medicare-certified organization, dedicated to providing comprehensive care and compassionate support for patients and their families facing a life-limiting illness. Sharp HospiceCare is accredited by the Joint Commission and is affiliated with the California Hospice and Palliative Care Association and the National Hospice and Palliative Care Organization.